Hello Lovelies! It’s been a while since I’ve done a book tag and I wanted to do this one since we all know that Goodreads is the number one go-to when it comes to finding books. So I’m very glad to have found this lovely tag over at Thrice Read. Yeah since it seems the easiest. However, I HAD been meaning to try a rating system like Harry Potter’s… Like O for Outstanding, E for Exceeds Expectations, and so on and so forth… Do you guys think it’s a good idea? Yes!! And heck I should’ve increased my goal! Hell yeah. What kind of question is that? Nicholas Sparks, Nora Roberts, Veronica Roth, Richelle Mead, Sarah J. Maas, Colleen Hoover, Sophie Kinsella, Christopher Paolini, Paulo Coelho and MORE…. Readers That Love Giveaways, Ebook Deals, and Free Books! Yes it was fantastic! And if you like the idea of humans fighting alongside demons to fight other demons, then yeah! I think you’ll definitely like it too. Thanks! They are good rambling. Makes me want to read it too! Thanks for the tag Jay, been meaning to do this tag, but I’ll do it now since I’ve been asked to do it. It was fun reading your list, I love Goodreads. Thanks Lara. I’m glad you had fun. I look forward to reading your answers. Thanks for the tag!! I loved The Midnight Sea! The world, characters….everything about it makes me so happy! 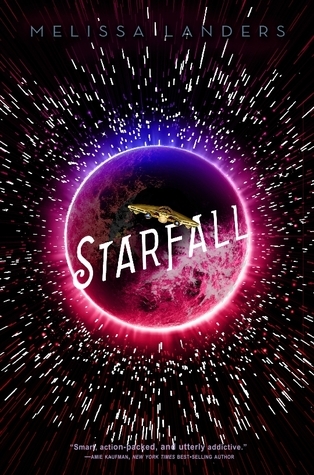 And Starfall needs to be released now. I can’t wait for it! You’re welcome! I loved The Midnight Sea too and was damn well pleased when Ilyas won’t be bothering them anymore. That guy really gets on my nerves. And speaking of Starfall, how was the 1st book? I have yet to read the series bc of my long list of books in waiting but I do intend to start it as soon as November. I loved the first book! The banter and the slow burning romance made my heart so, so happy! And dear god, I hated Ilyas so much! The things he did..gah! Goodbye and good riddance! And oh.. Any book with a lot of bantering is a good sign to me. And I’m relieved to hear it’s not an insta-love again.